Sistema Shyam Teleservices will hold about 10 per cent stake in RCom and pay off its existing debt before closing the deal. 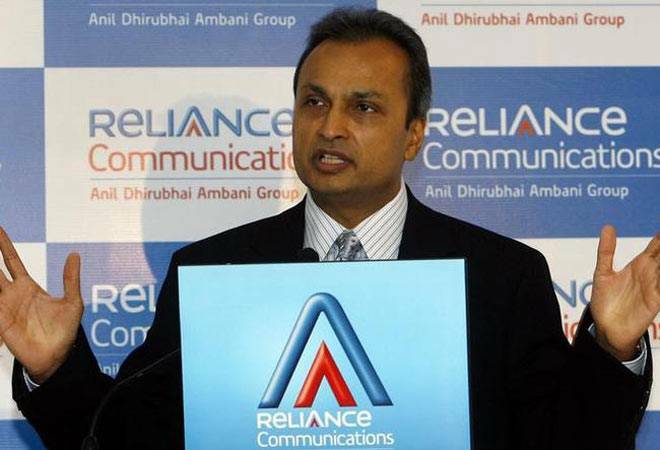 Reliance Communications (RCom), India's fourth-largest telecom operator, today announced the acquisition of Russian conglomerate Sistema 's Indian telecom unit in an all-stock deal that will create an operator with 118 million subscribers. Sistema Shyam Teleservices Ltd (SSTL) will hold about 10 per cent stake in RCom and pay off its existing debt before closing the deal. "RCom will acquire SSTL's most valuable and superior 800/850 MHz band spectrum, ideally suited for 4G LTE services, to complement its own unique nationwide footprint of minimum 5 MHz contiguous 800/850 MHz spectrum aggregating 148.75 MHz," the statement said. Also, "the validity of RCom's spectrum in 800/850 MHz band in 8 important circles" will be extended by 12 years from 2021 till 2033, it said. While SSTL will pay off its existing debt, RCom will assume the liability to pay the government installments for SSTL's spectrum, amounting to Rs 392 crore per annum for the next 10 years. "An appropriate payment/earn-out mechanism has been agreed in relation to disputed spectrum contiguity charges claimed by the Department of Telecommunications," it said. Sistema had ventured into Indian telecom space in 2007 when he bought 10 per cent stake in Shyam Telelink by paying $ 11.4 million. The stake was raised subsequently. Gurdeep Singh, President & Chief Executive Officer, Consumer Business, RCom, said, "The combination of our wireless businesses, through the demerger of SSTL wireless business into RCom for stock consideration, will generate significant capex and opex synergies for mutual benefit." Its licence in West Bengal will expire in 2017 while around 10-12 licences will expire within 2022-23. On the other hand, Sistema had bought licence in 8 telecom circles like Delhi NCR in 2013 and are valid till 2033. SSTL is stated to have a debt and liability of Rs 3,200 crore. SSTL has the option to pumping in more money to raise its stake in RCom to 50 per cent to help avoid the company from taking further debts. RCom has a debt of around Rs 32,000 crore. The transaction is expected to close in the second quarter of 2016 and is subject to customary conditions precedent, including inter alia applicable corporate, regulatory and other approvals. Post closing of the deal, minority investors of SSTL will be given an option to exchange their shares in SSTL with the pro-rata RCom shares held by SSTL, the statement said. "The Indian data market is witnessing explosive growth, and SSTL's proven strengths in that space will further enhance RCom's capabilities in delivering a superior experience to our valued customers," Singh said. Also, SSTL's valuable spectrum holdings in the 800-850 MHz band will strengthen RCom's spectrum portfolio, and extend its ability to provide world class 4G LTE services to customers in 8 important circles in the country till 2033, he added. Mikhail Shamolin, President and CEO of Sistema, said, "The merger of SSTL and RCom's telecom businesses is a milestone event. Despite the numerous challenges the sector faced in recent years, the combination of two leading data service providers is a clear sign of progress for the Indian telecom industry. "We are confident that SSTL's entry into the equity capital of RCom as a strategic investor will strengthen the competitive position of the combined company and provide subscribers with superior experience by fast-tracking the growth of LTE technology in India." RCom ended 2014-15 fiscal with revenue of Rs 21,423 crore and a net profit of Rs 620 crore. Unlisted SSTL ended calendar year 2014 with revenues of Rs 1,347.2 crore. The company did not make public its net profit numbers. "We believe this transaction underscores SSTL's track record in building the fastest-growing data services provider. This is an exciting new chapter for India's telecom industry and we look forward to leveraging our companies' combined experience for the development of LTE in India," said Sergey Savchenko, CEO of Sistema Shyam TeleServices Ltd.